If 2017 was about data exploration and data lakes, 2018 was definitely about model exploration and moving towards production ready model building. 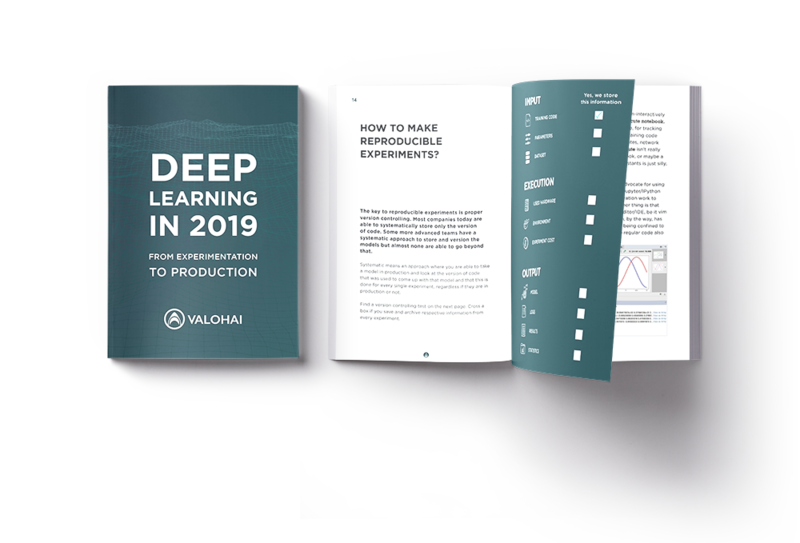 Download the eBook now and learn how the deep learning scene looks like in 2019. Valohai automates deep learning infrastructure so companies can concentrate on data science. Scale model to hundreds of CPUs, GPUs and TPUs at the click of a button. Reproduce models and increase team collaboration with automatic version control of all input data, hyperparameters, training algorithms and environments.